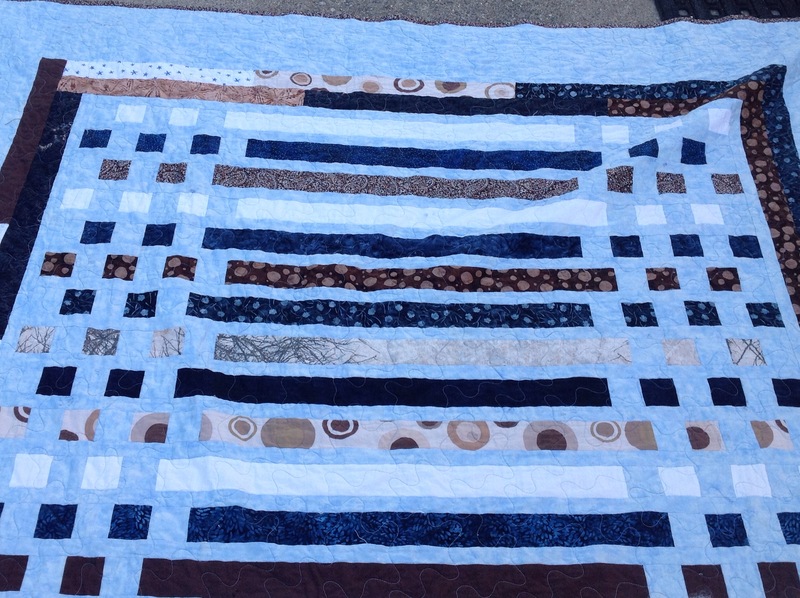 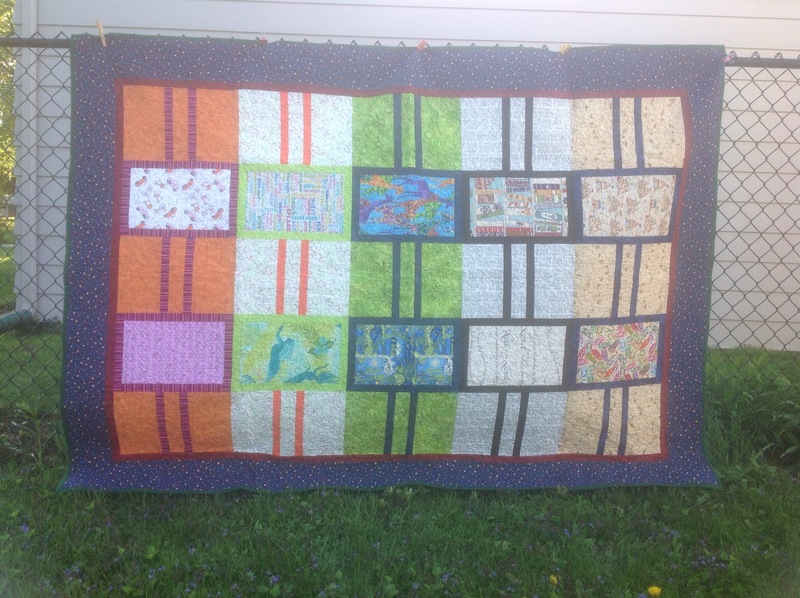 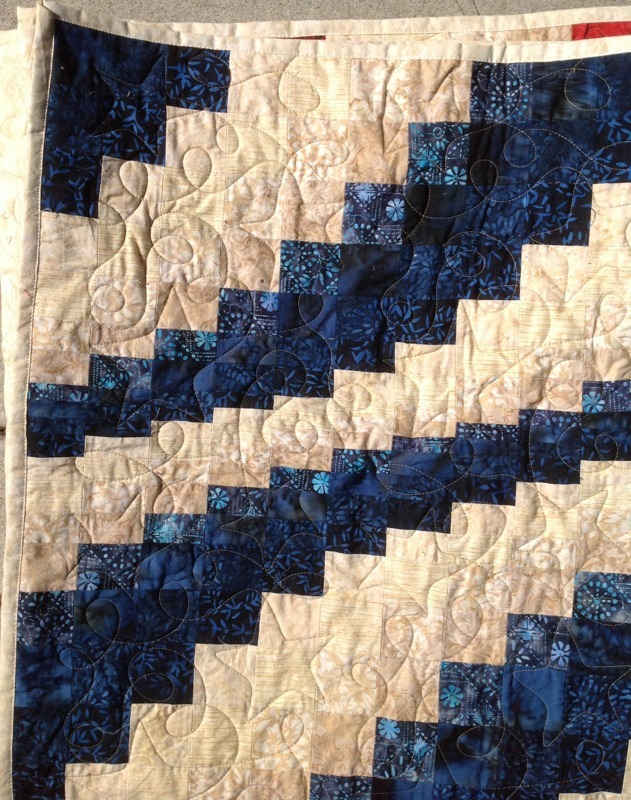 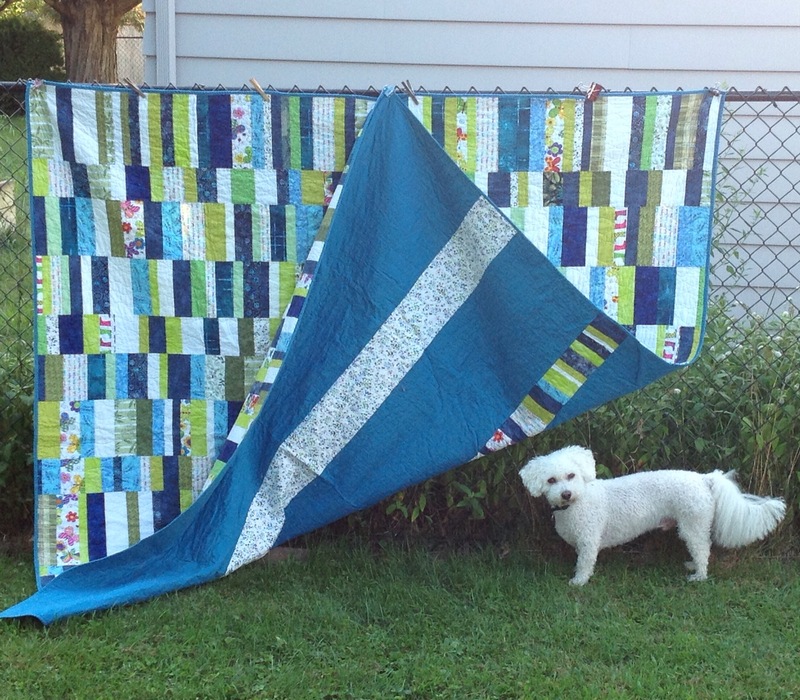 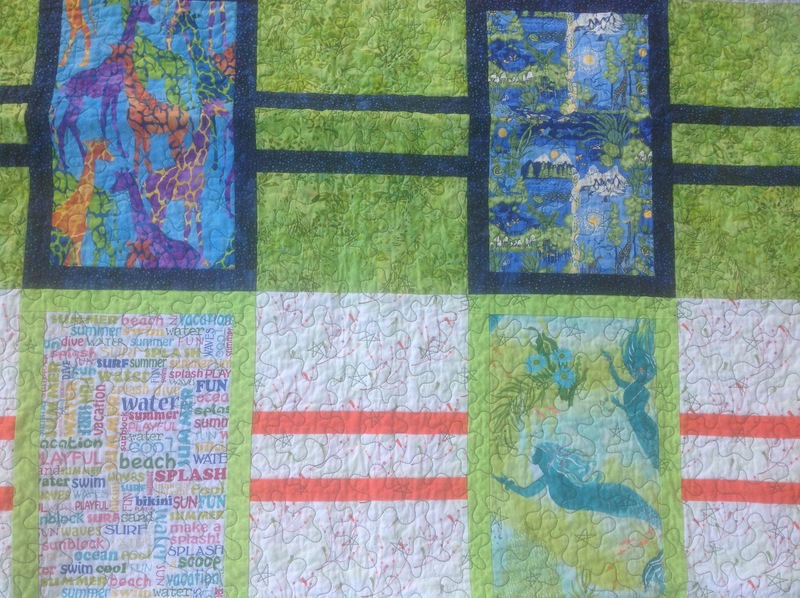 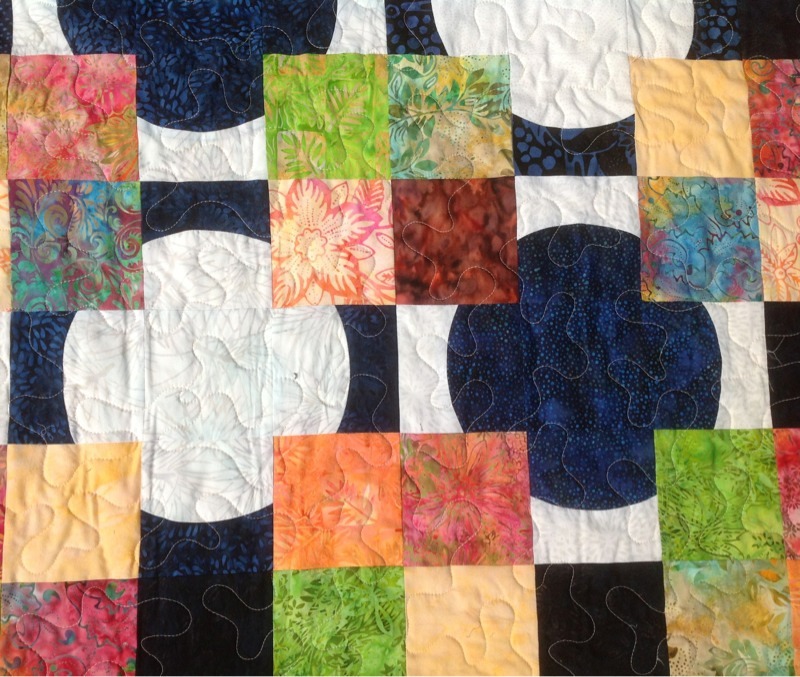 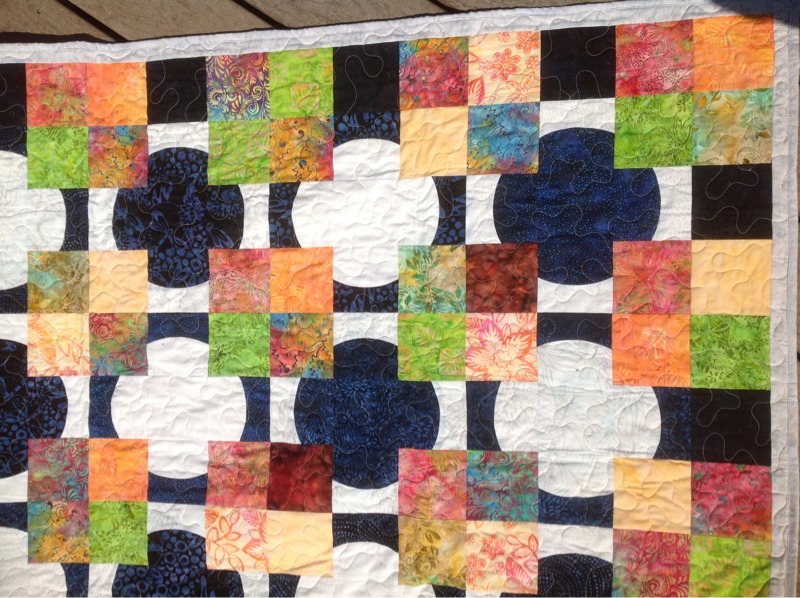 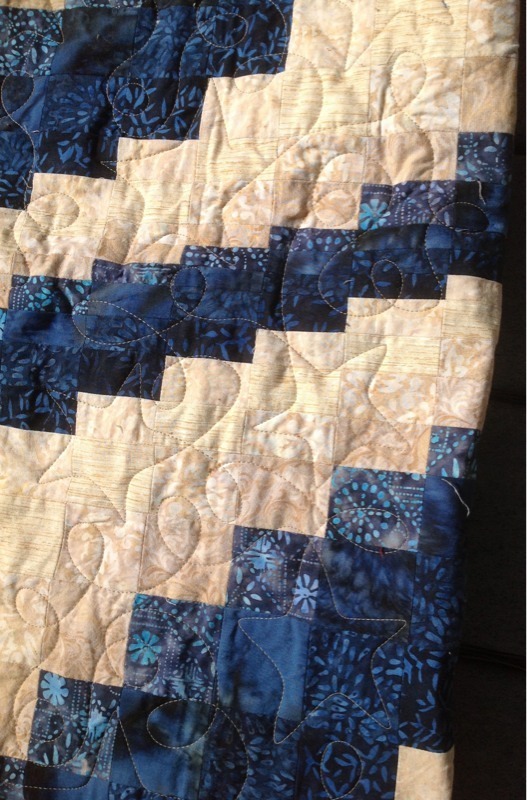 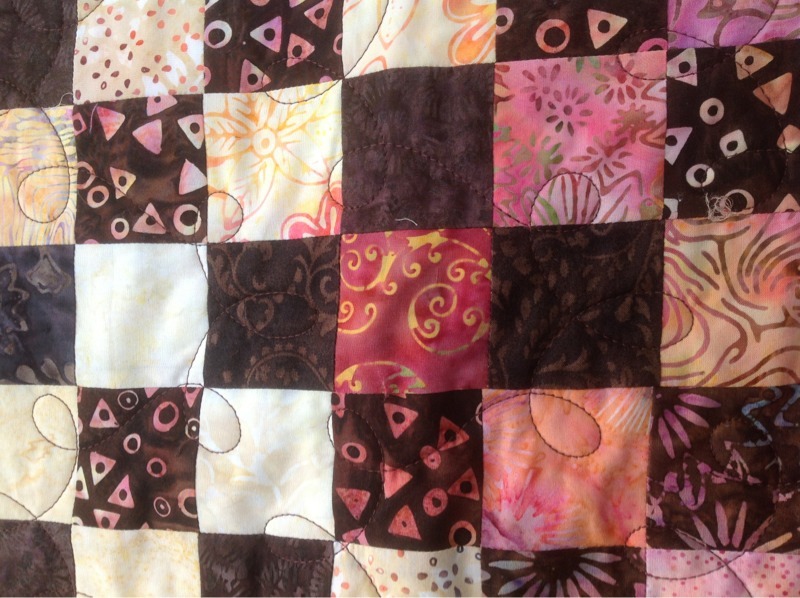 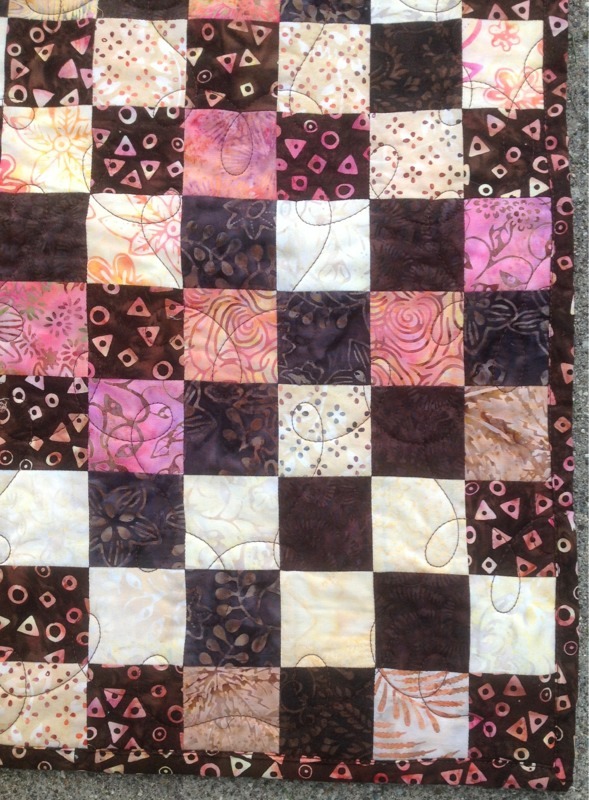 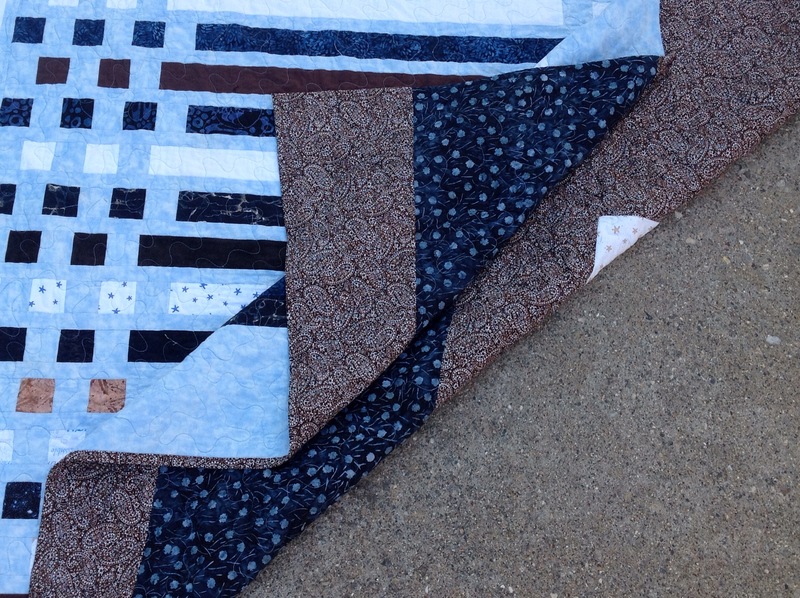 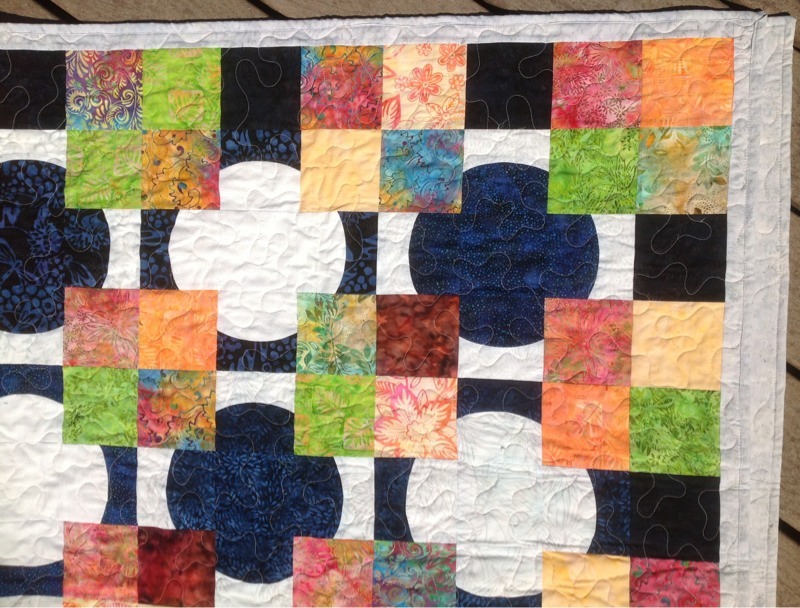 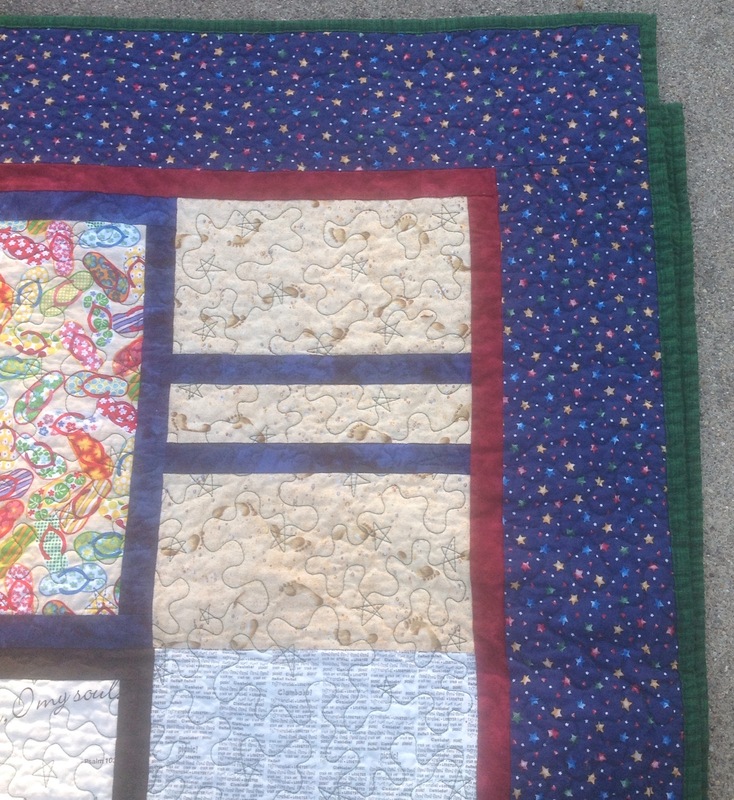 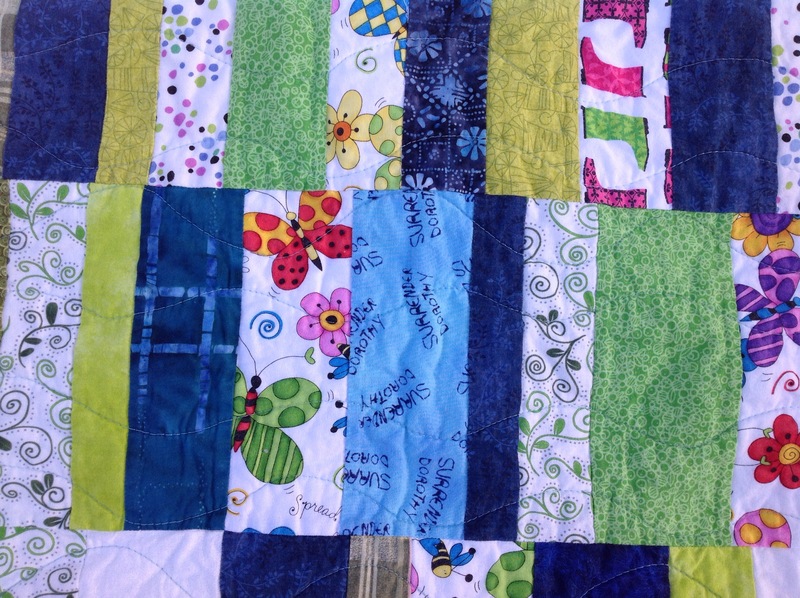 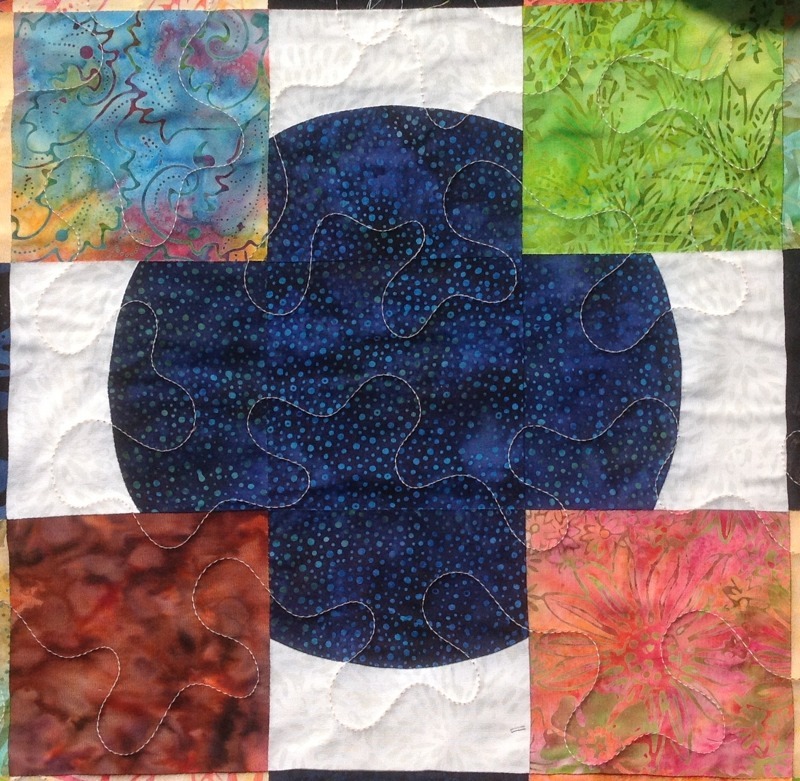 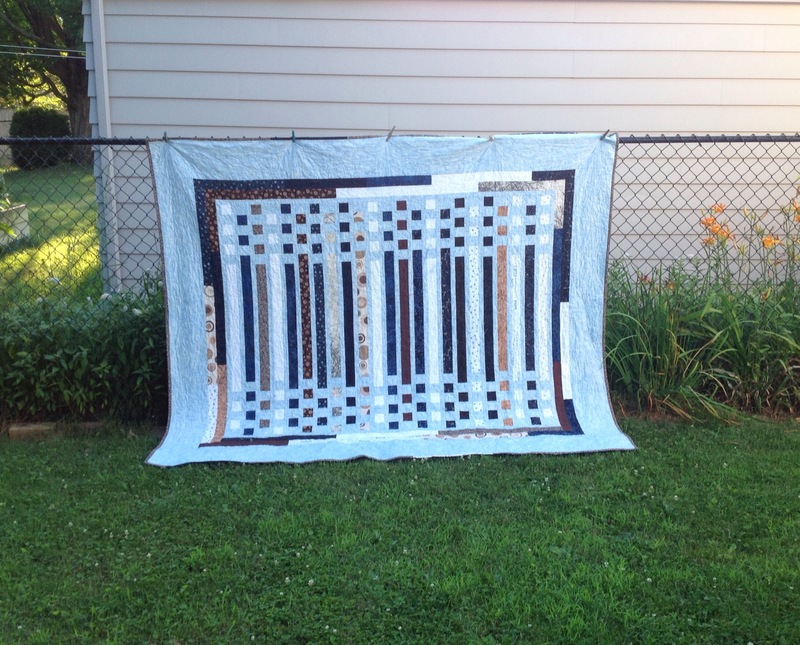 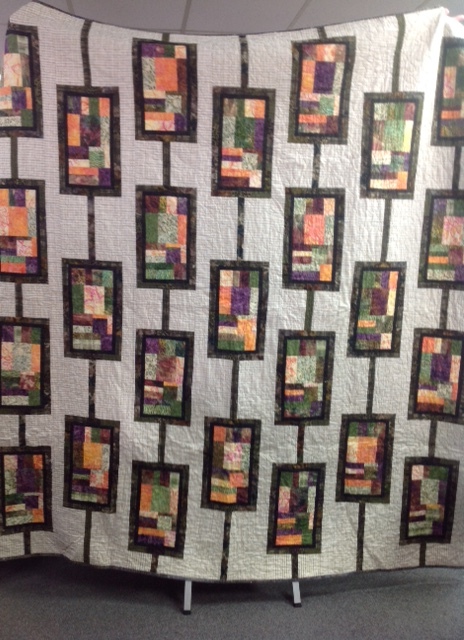 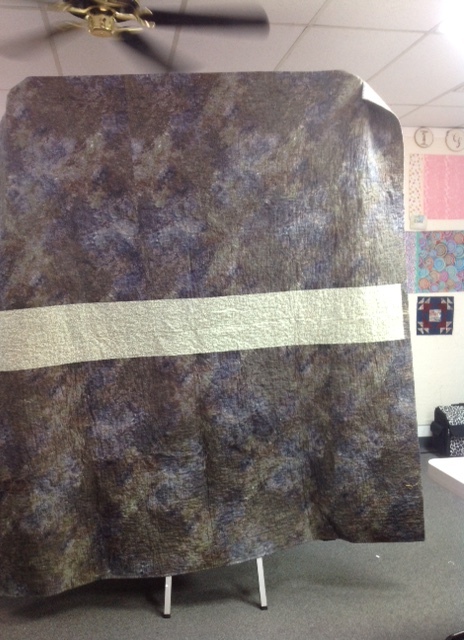 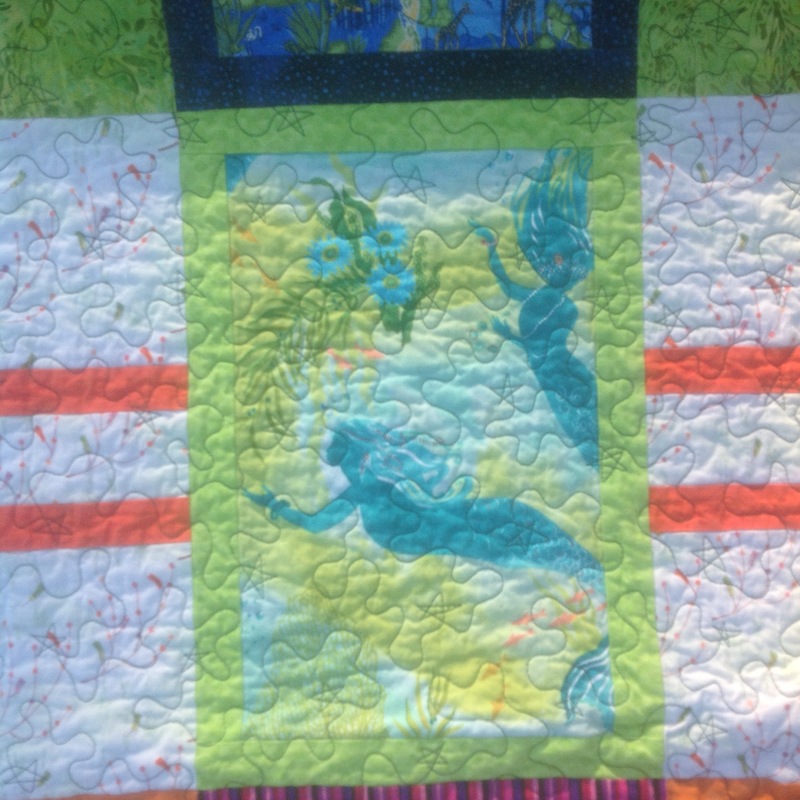 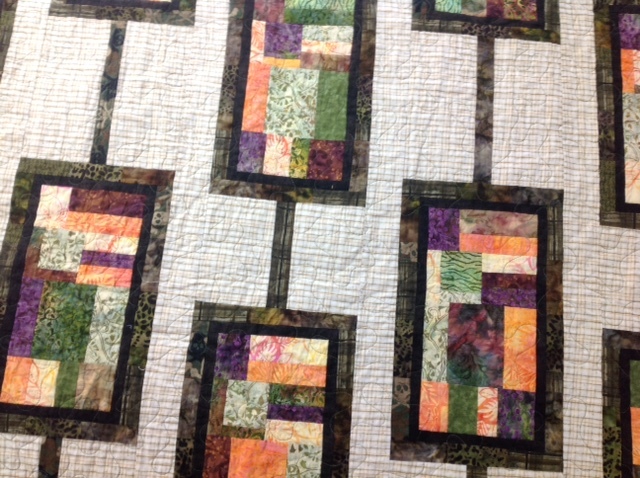 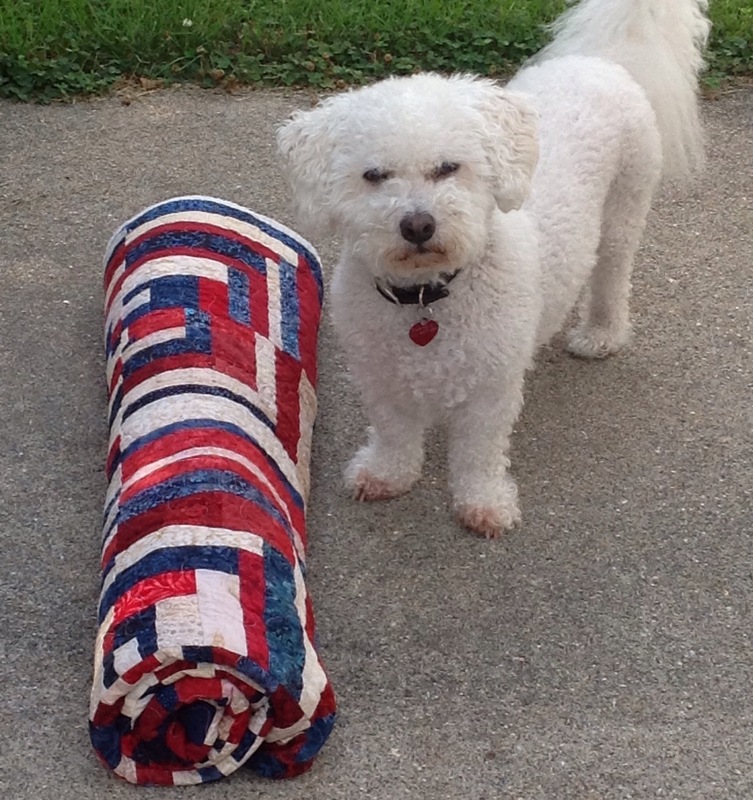 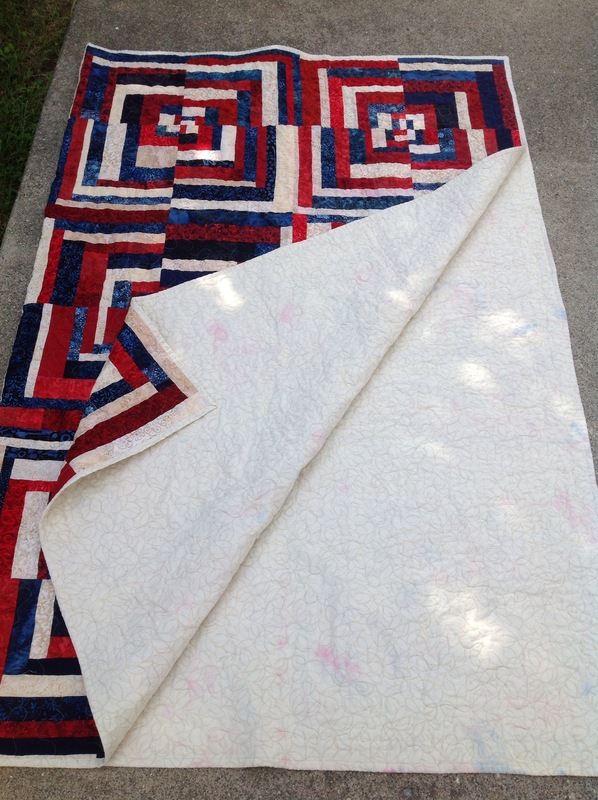 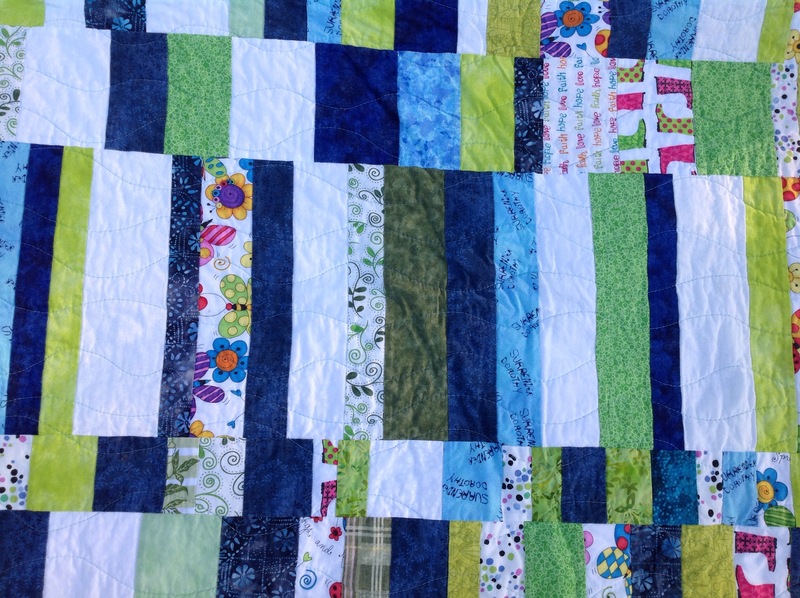 Sarah's Stash | Quilting & learning to Blog all at the same time. 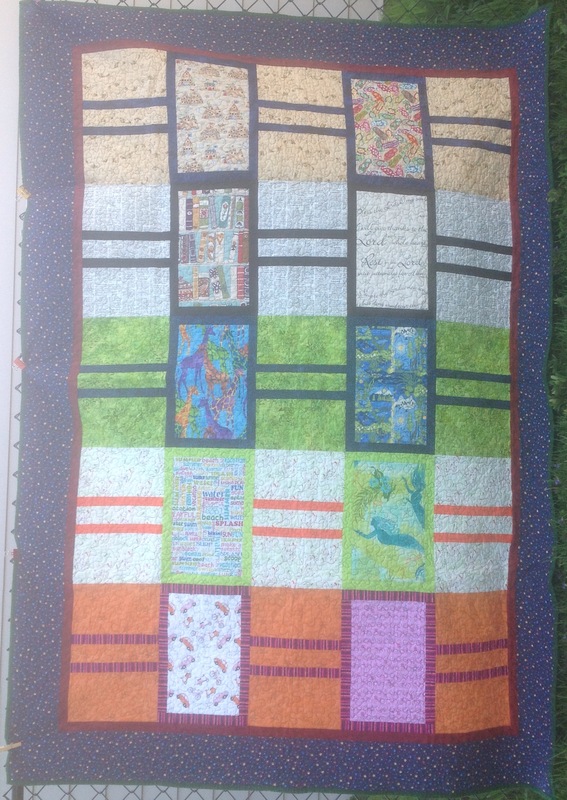 Baker’s Dozen Quilt Pattern, McCall’s Quilting Magazine, pg 20. 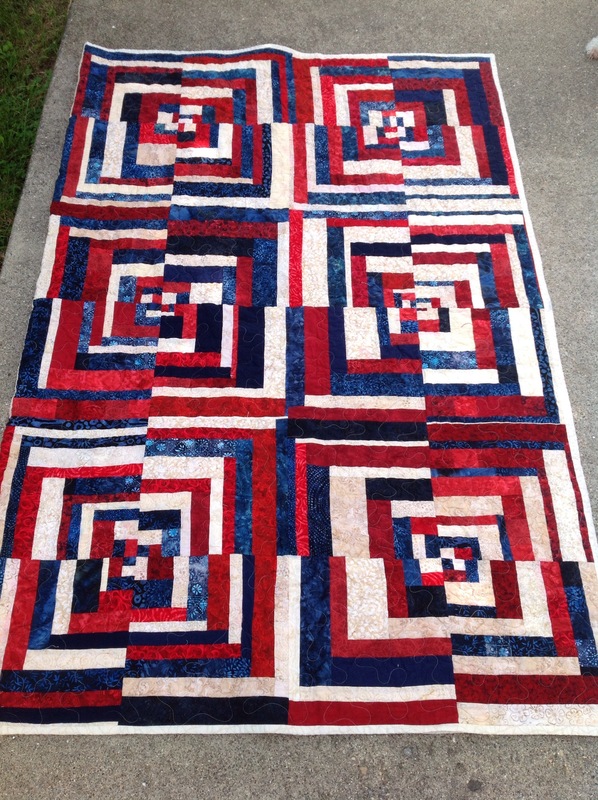 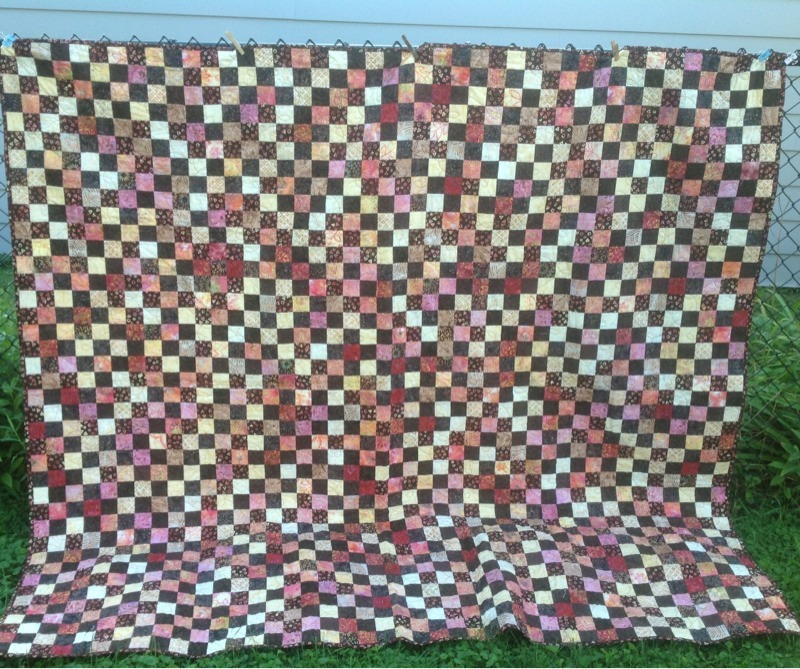 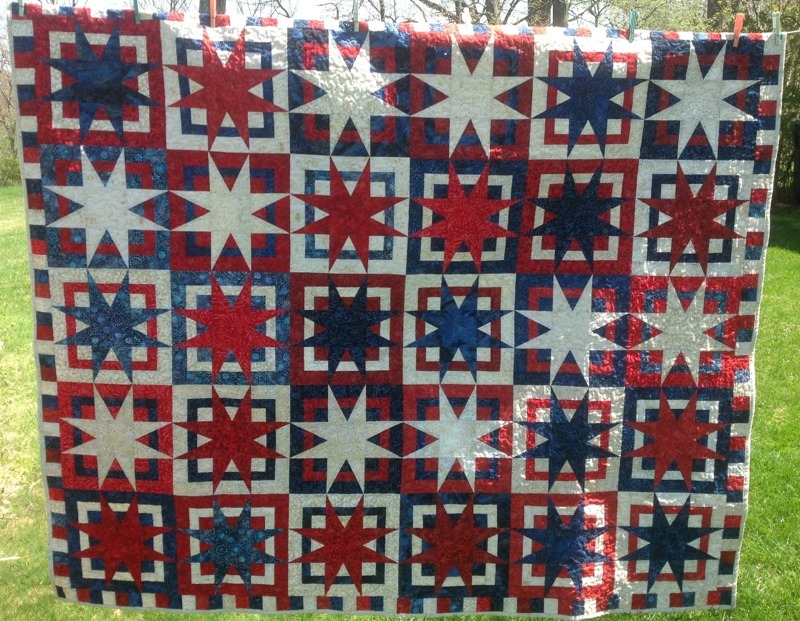 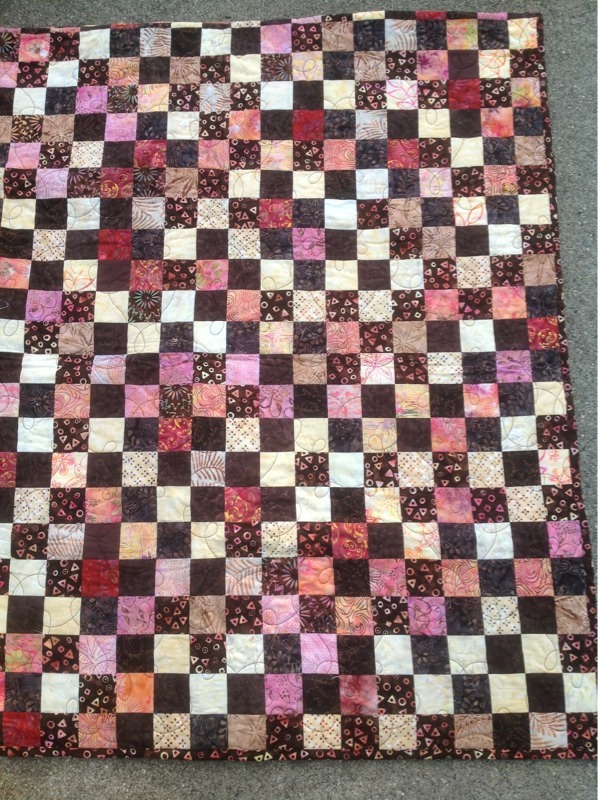 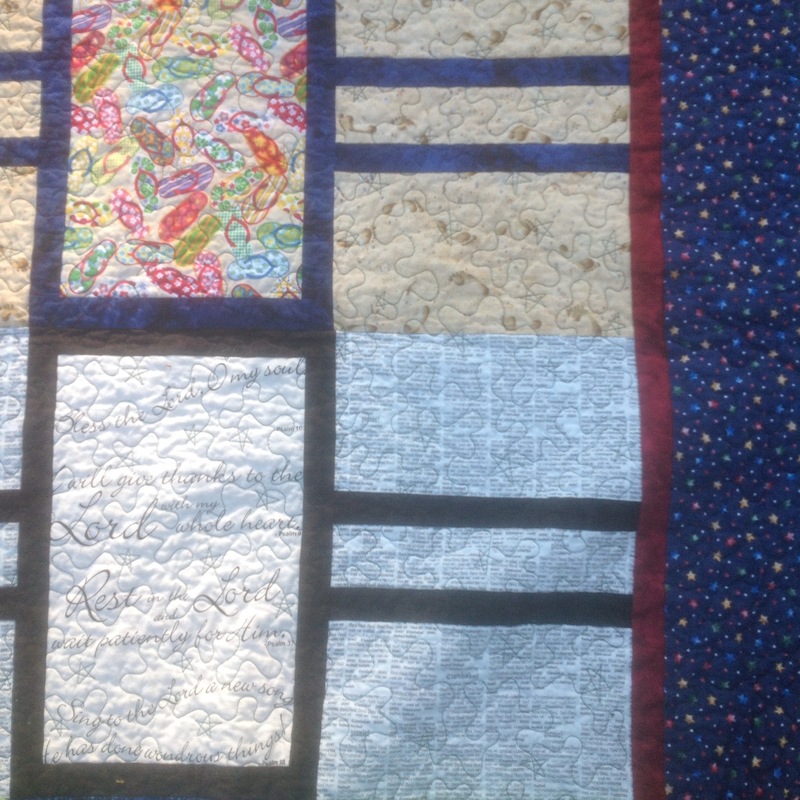 Made this quilt for my Mom, She picked out all the fabric and the placement of the blocks. 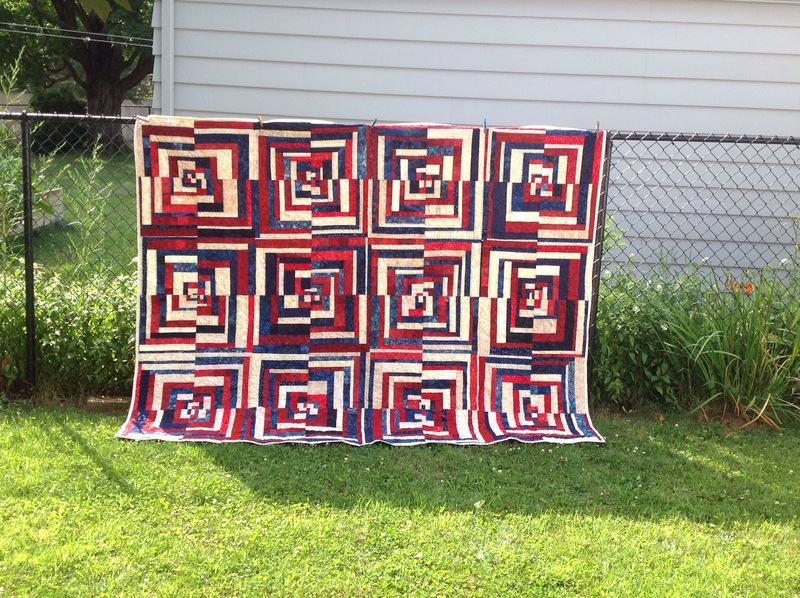 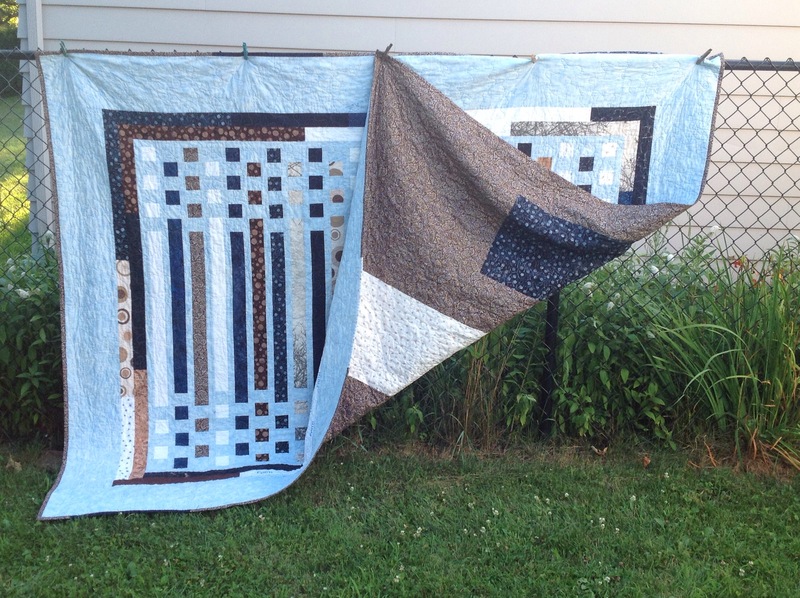 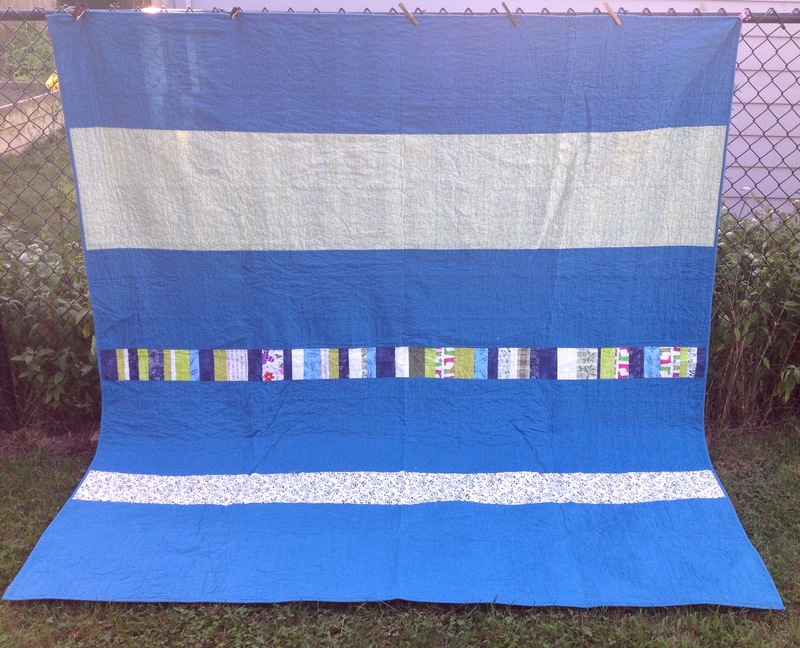 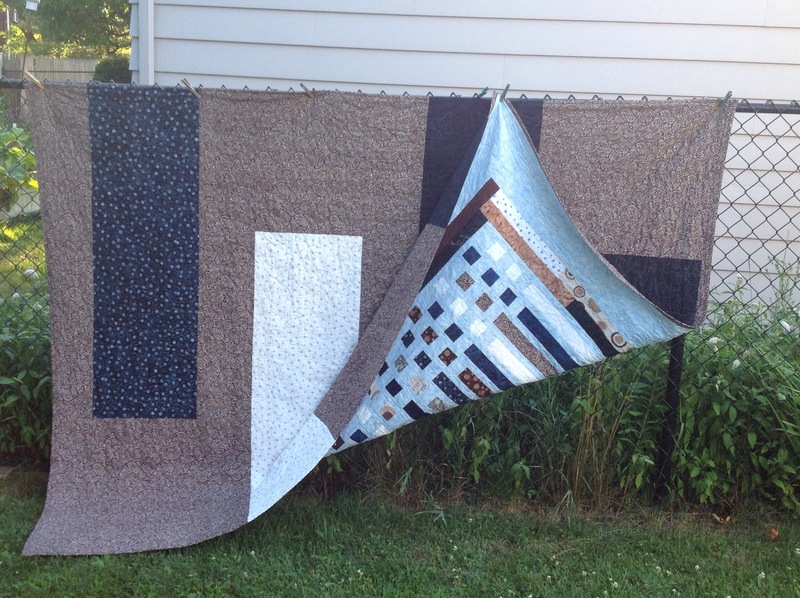 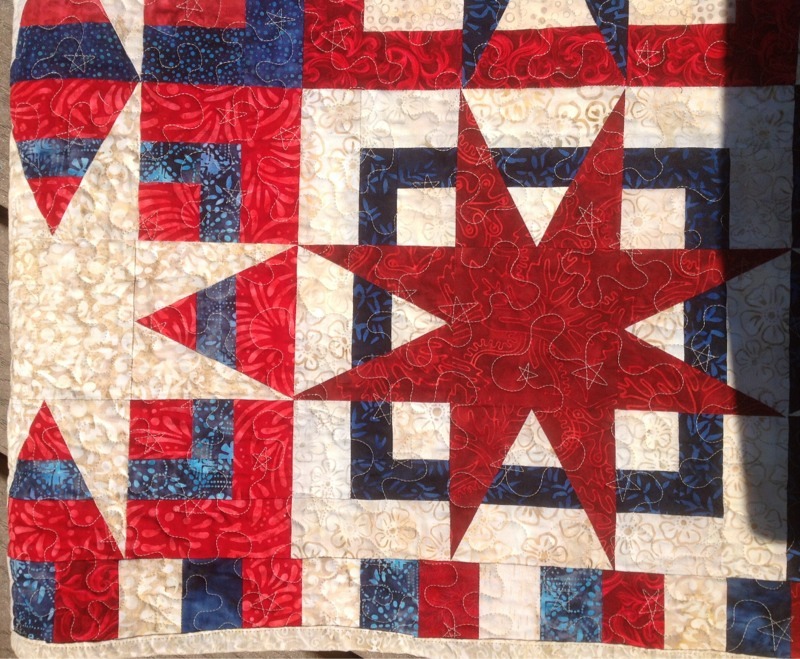 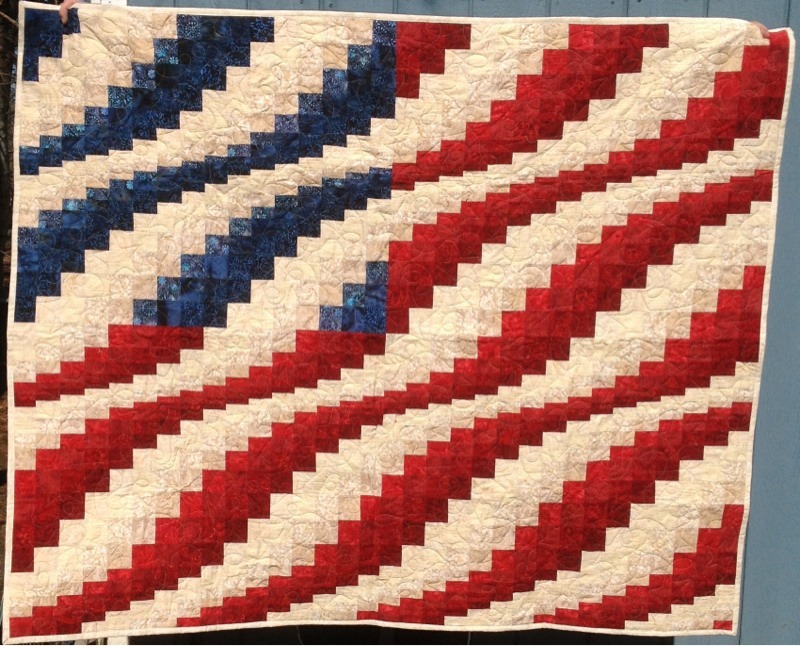 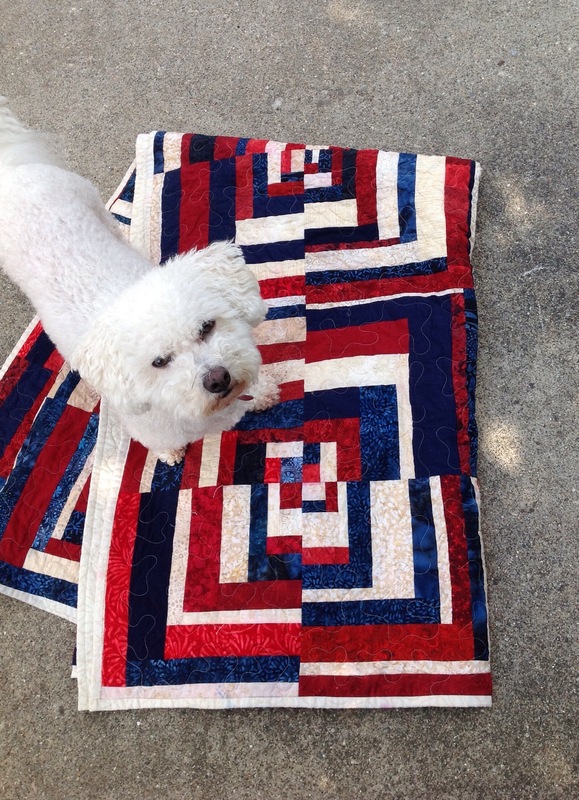 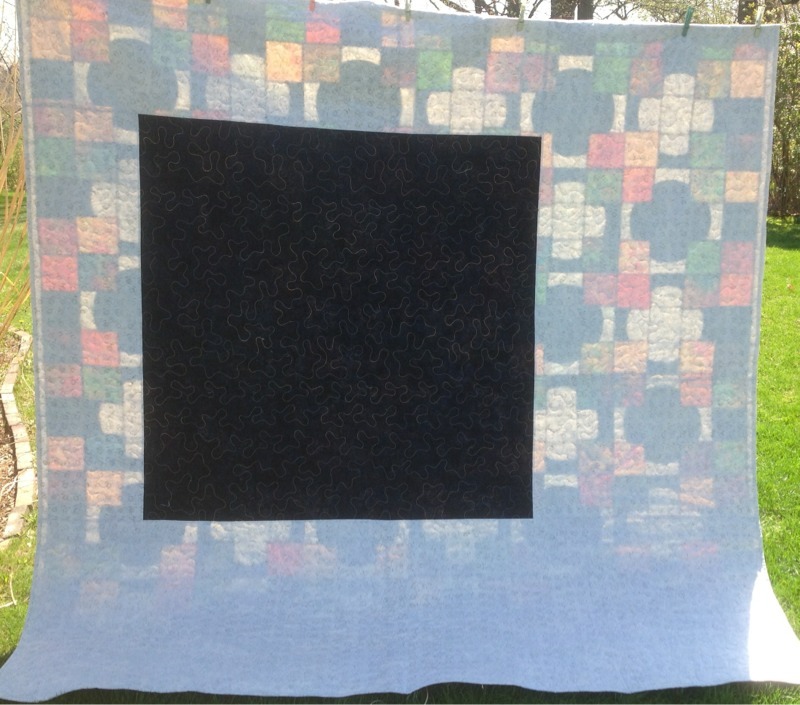 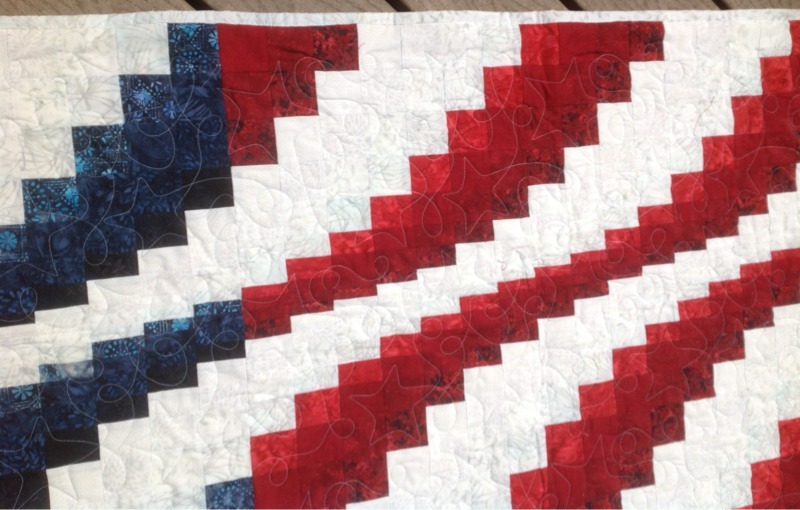 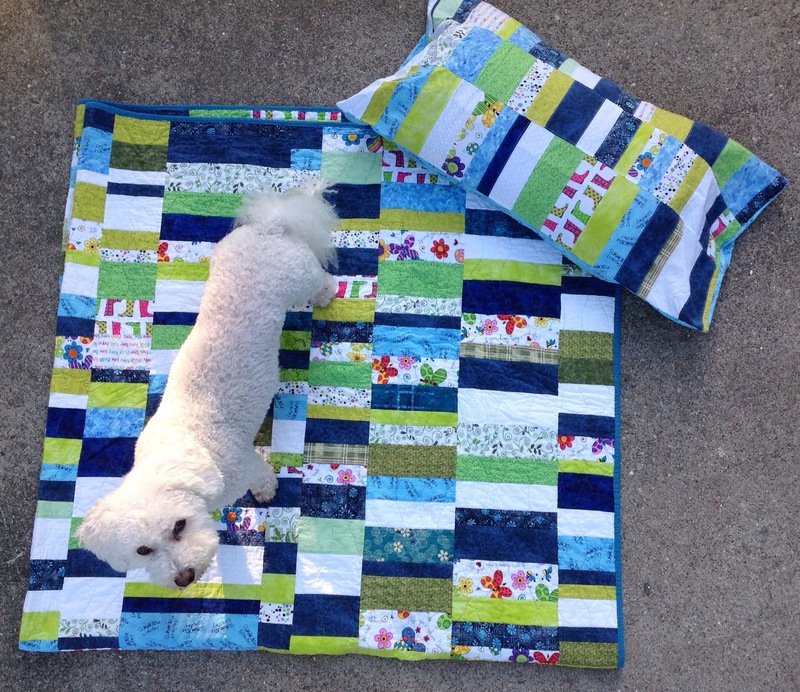 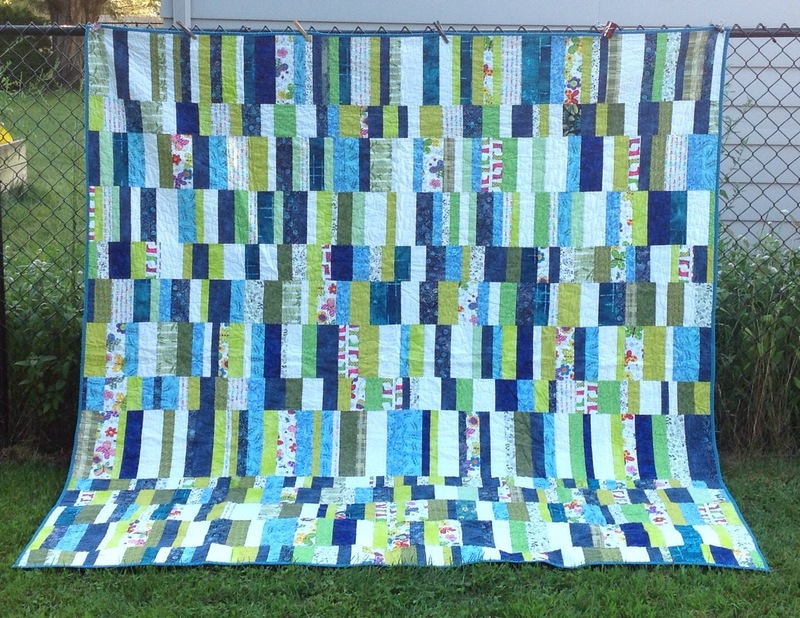 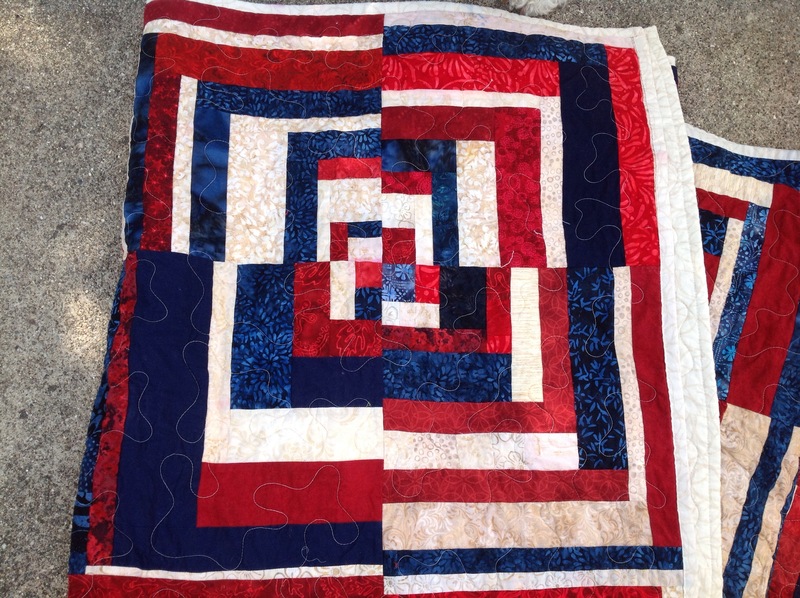 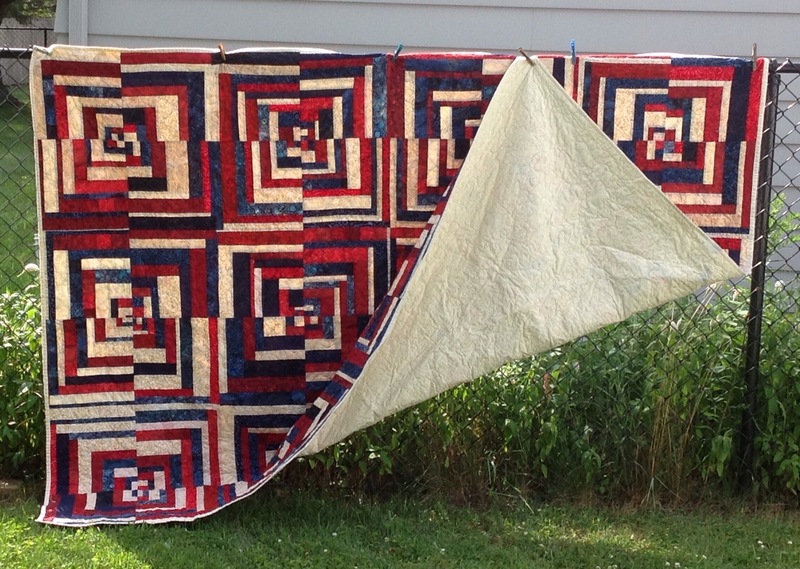 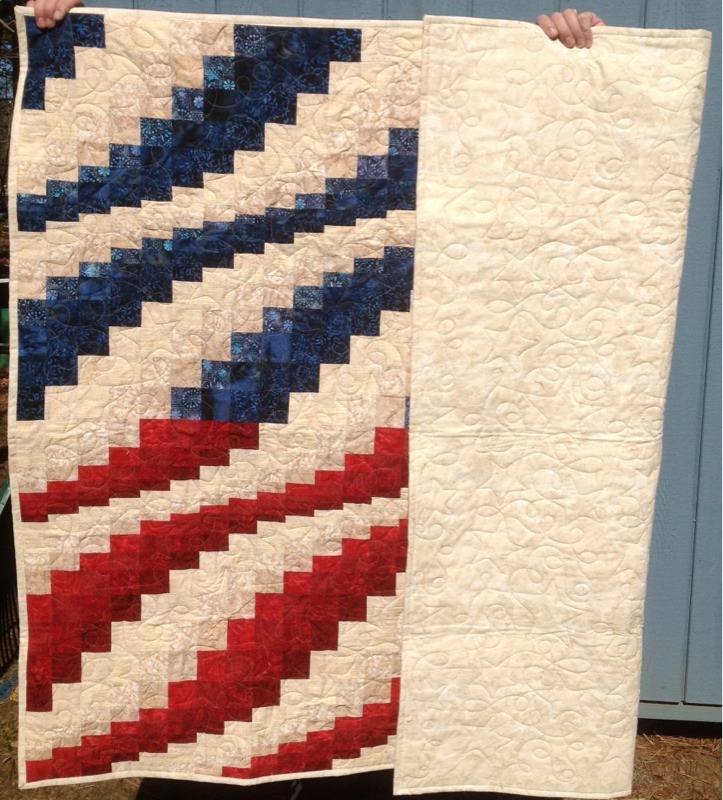 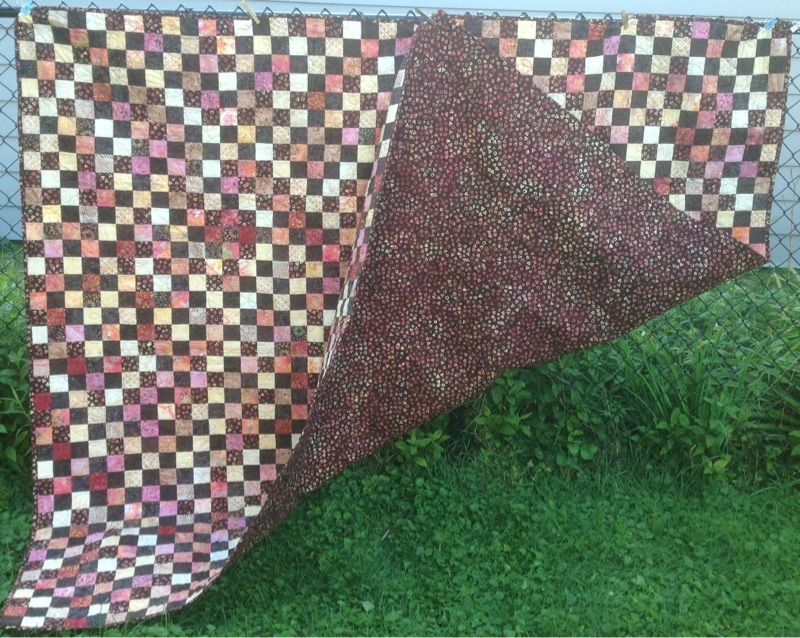 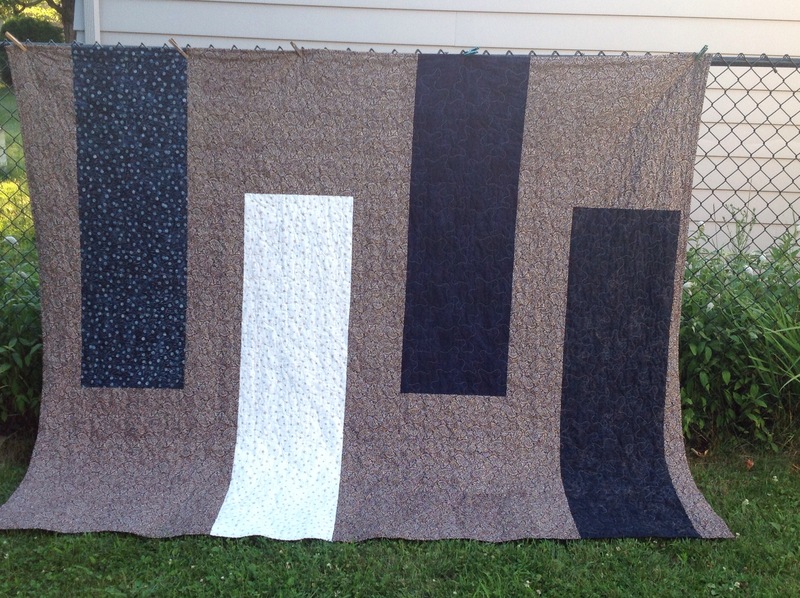 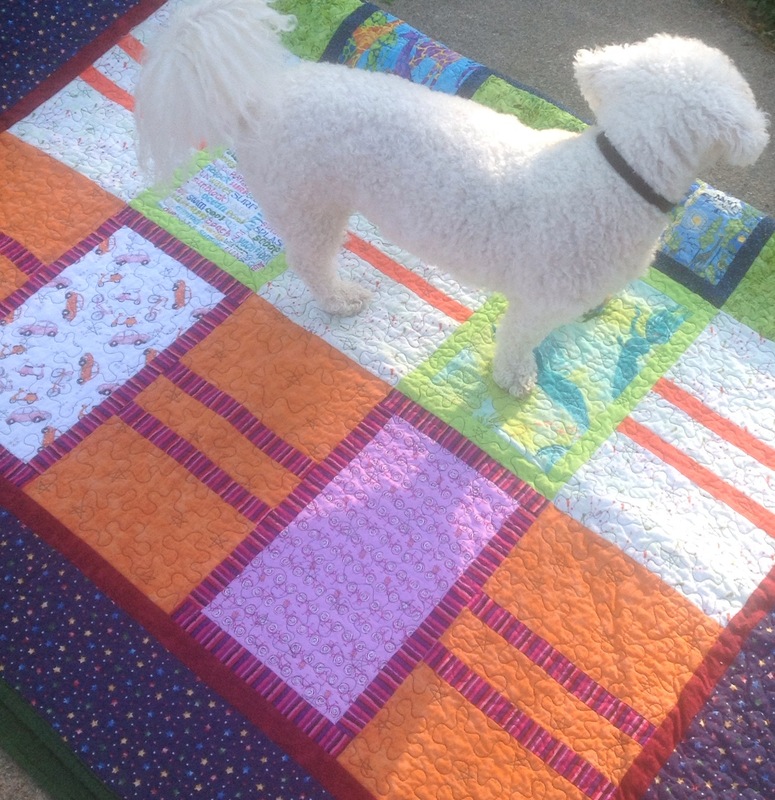 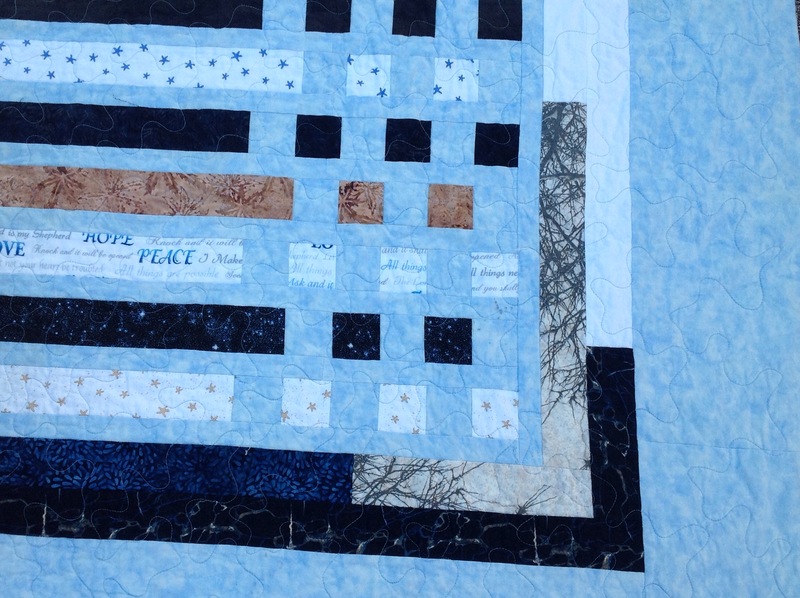 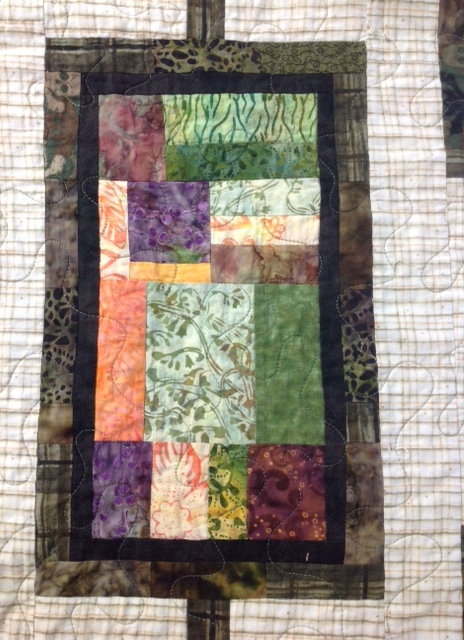 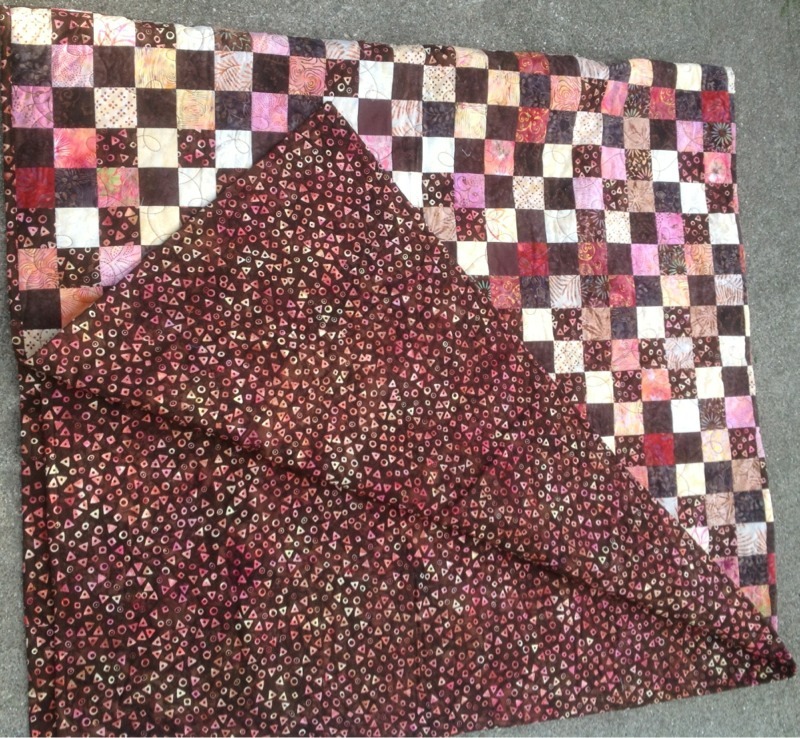 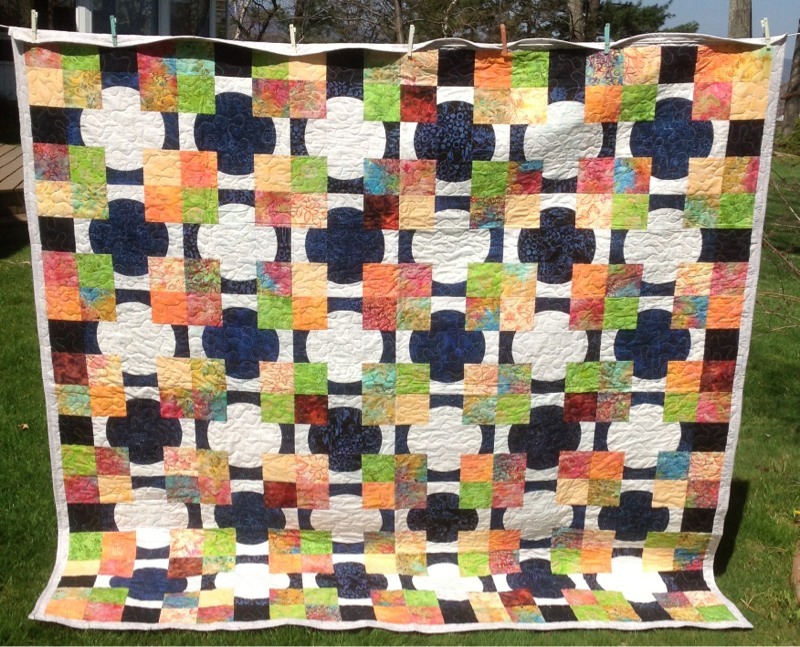 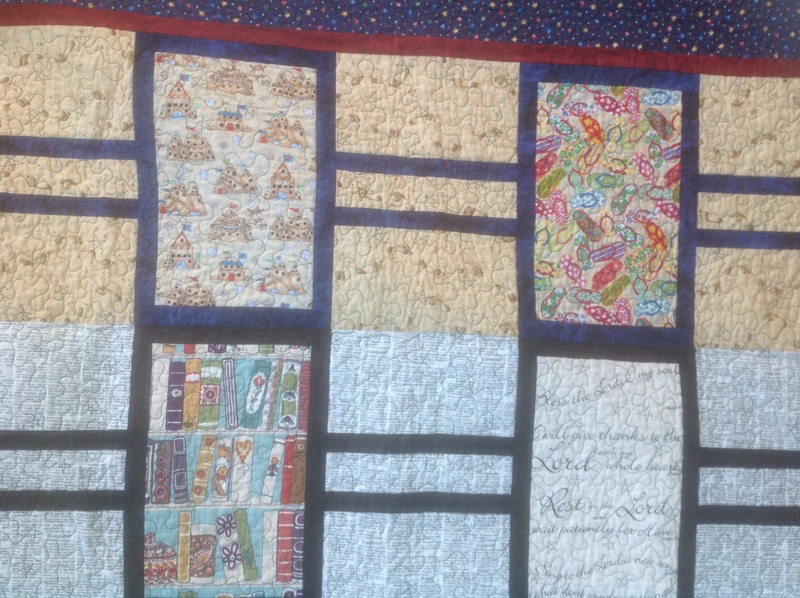 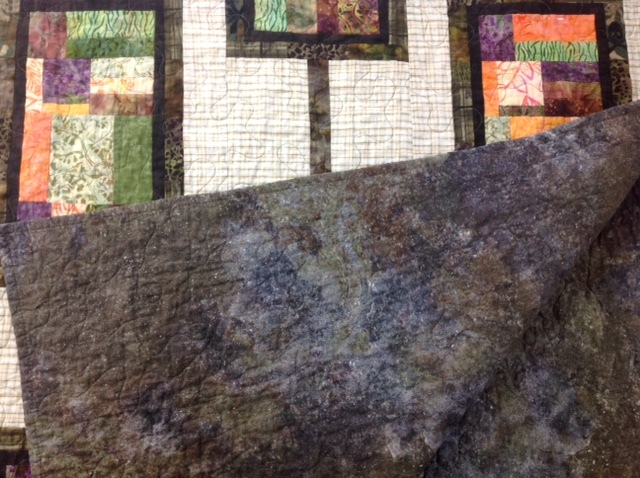 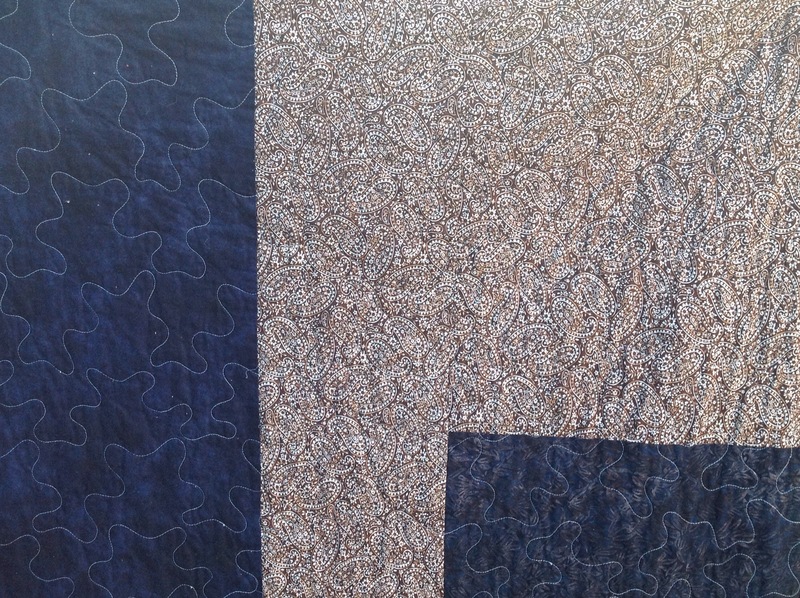 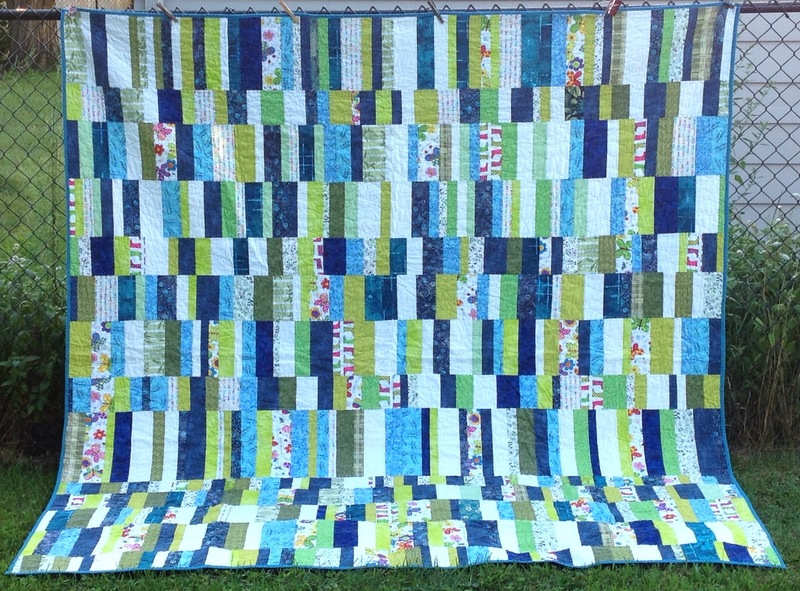 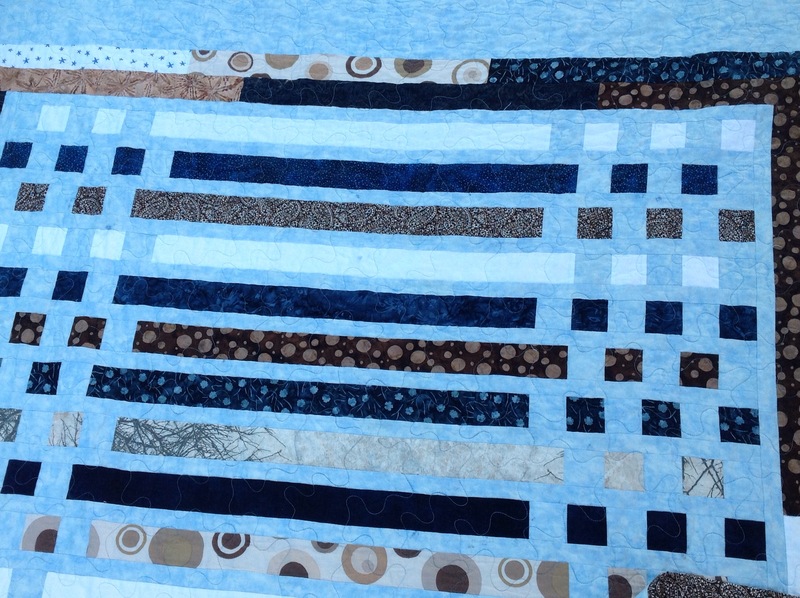 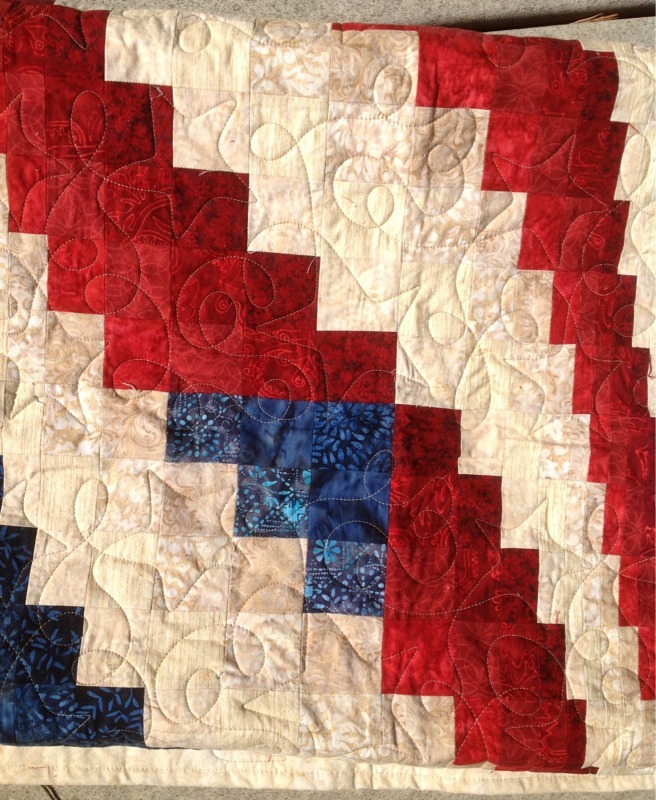 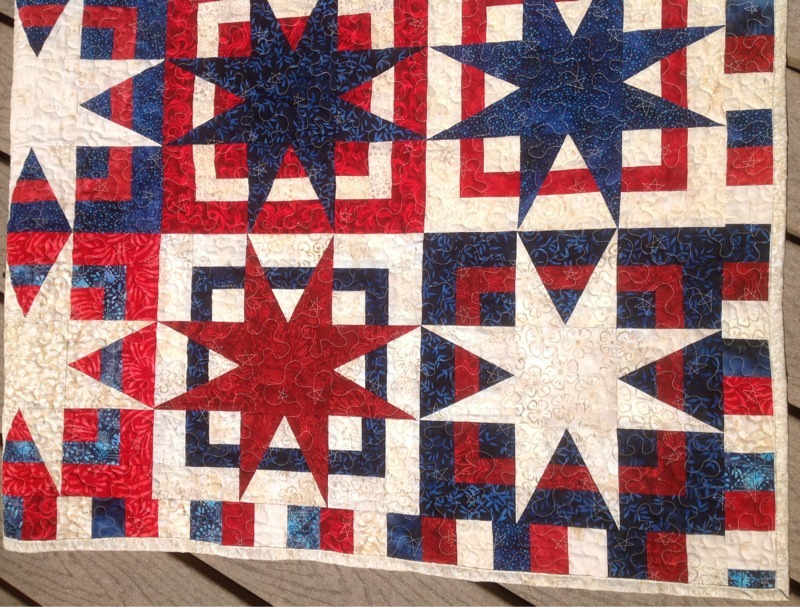 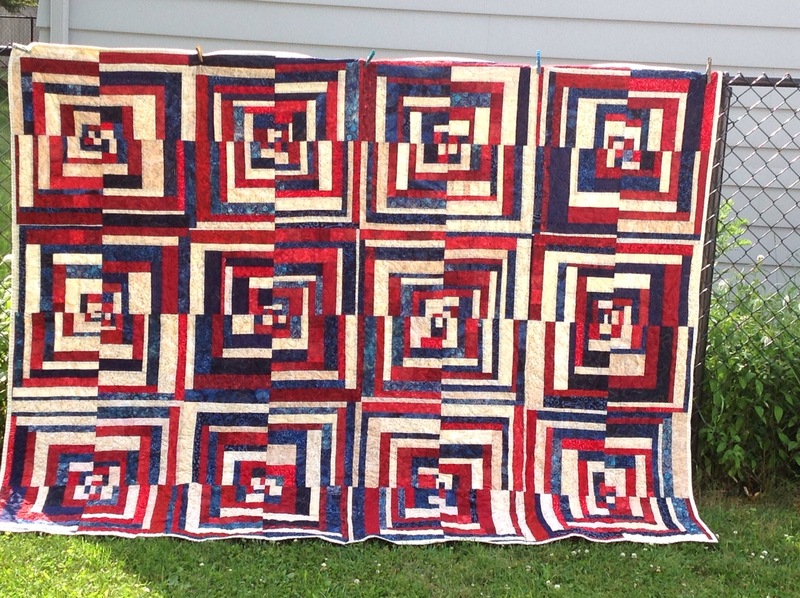 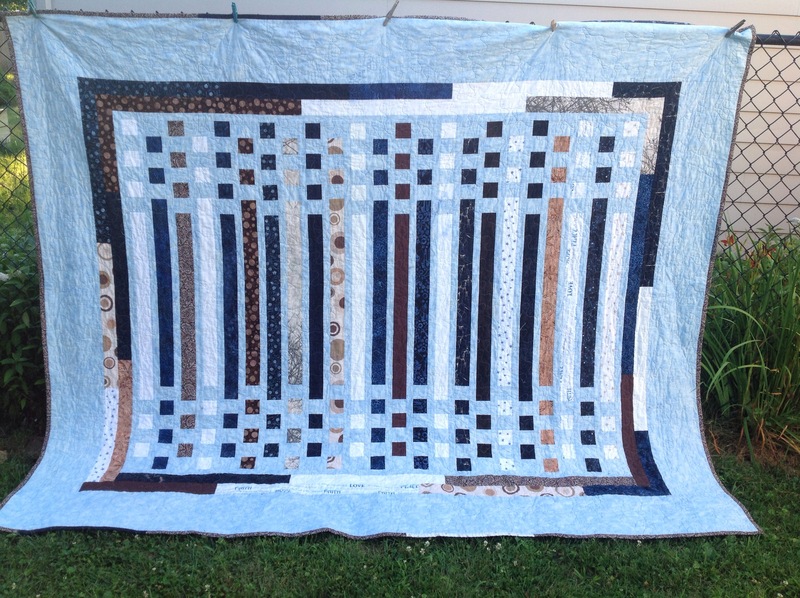 While this is a simple 2 1/2″ block scrap quilt, I got my idea from this awesome book. 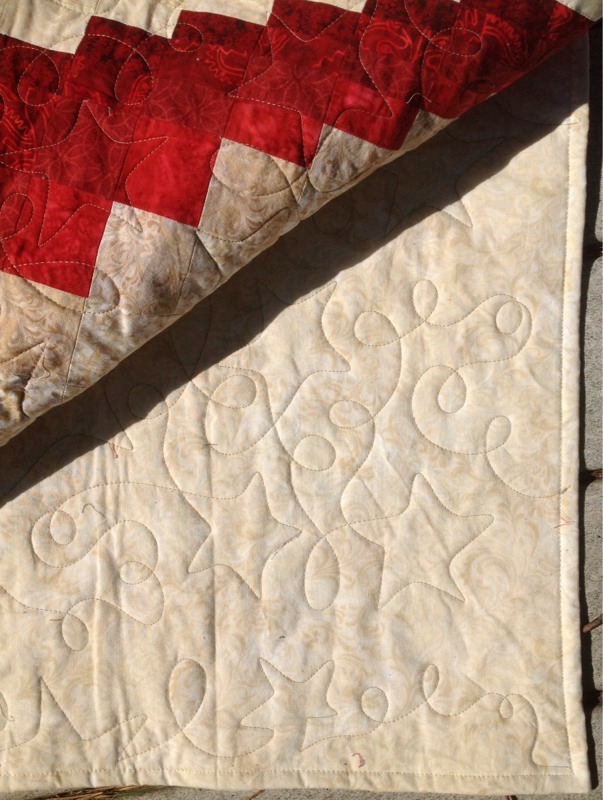 I’m not much into quilting books, but I absolutely LOVE this book! 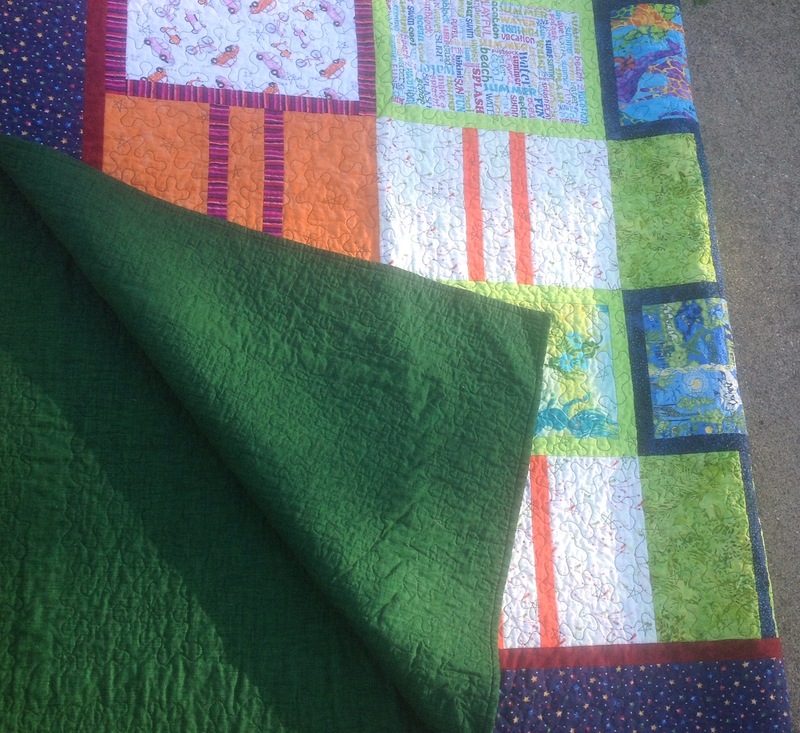 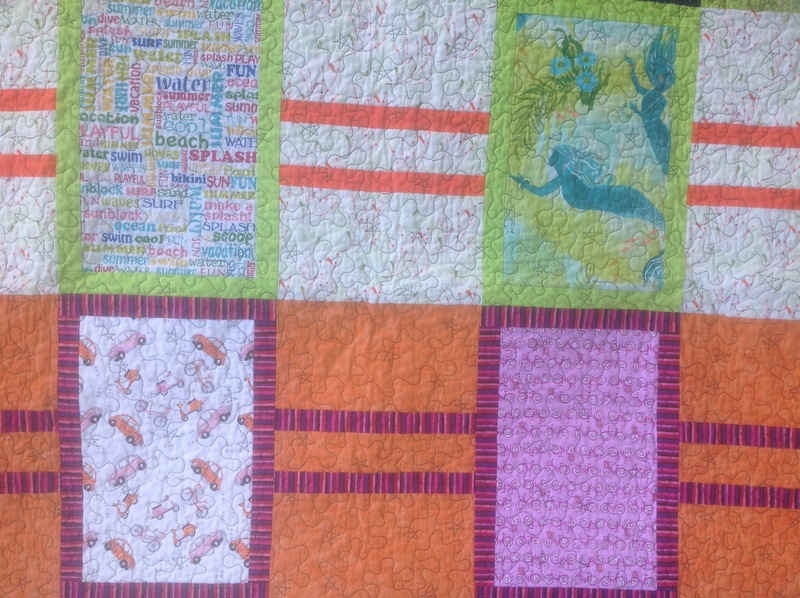 I’m planning on doing all 16 quilts in the book. 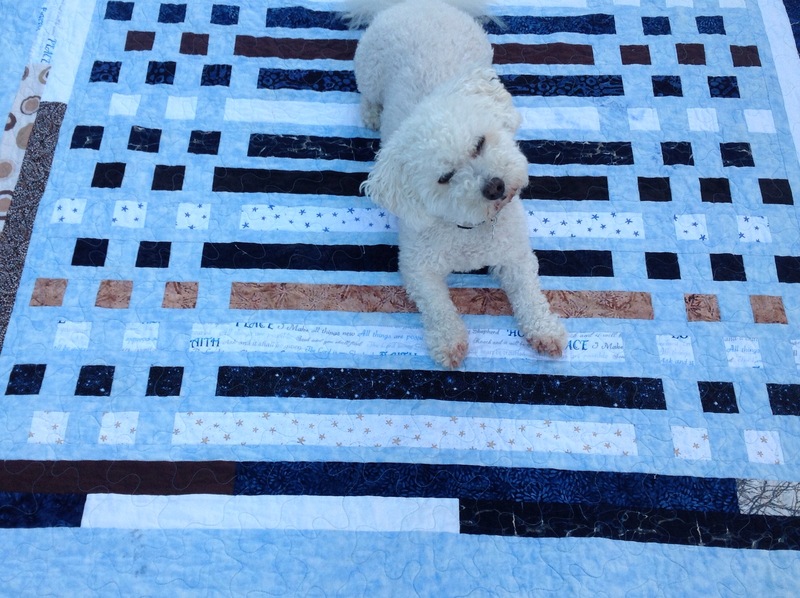 The instructions are great!! 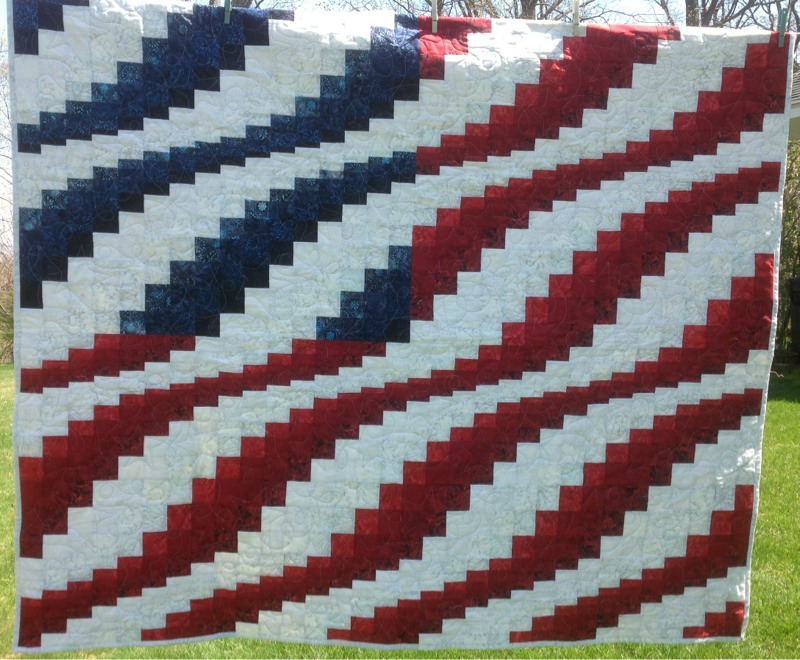 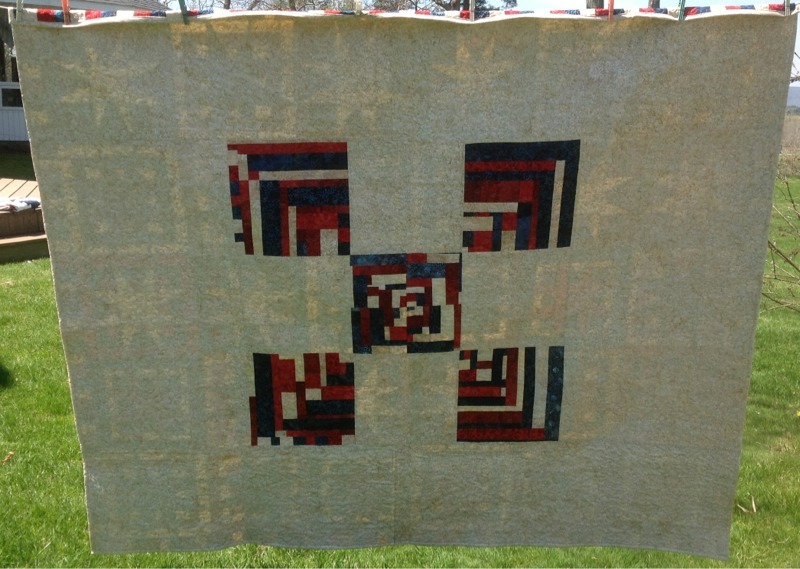 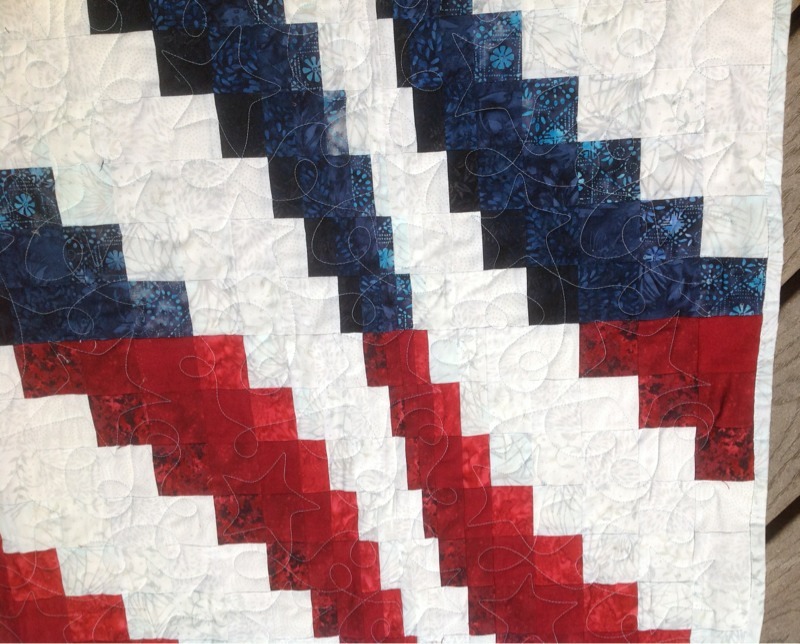 Pattern: Bargello Flag, designed by Me! 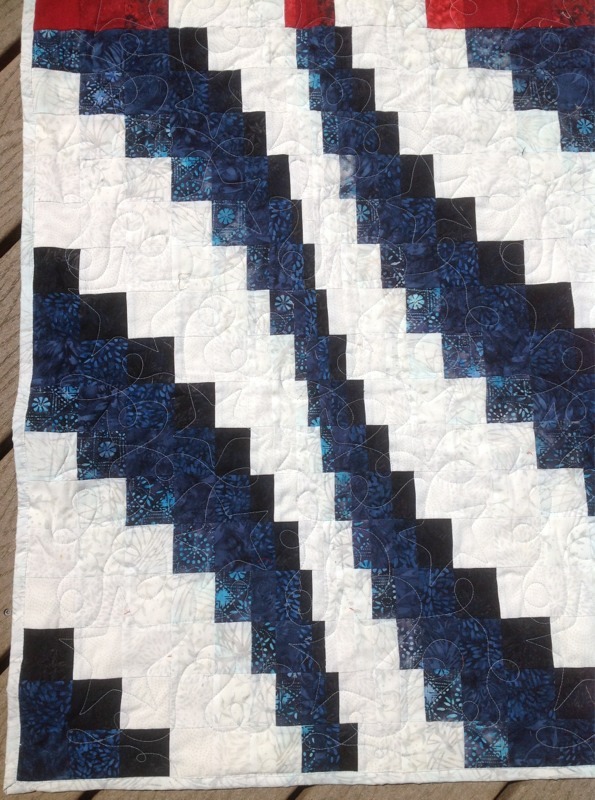 Pattern: “Dotty” by Linda Warren, using “The Learning Curve” ruler…awesome btw, wish it came in more sizes! 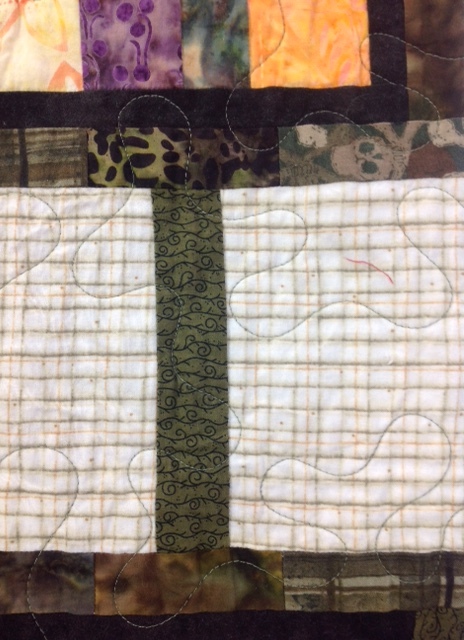 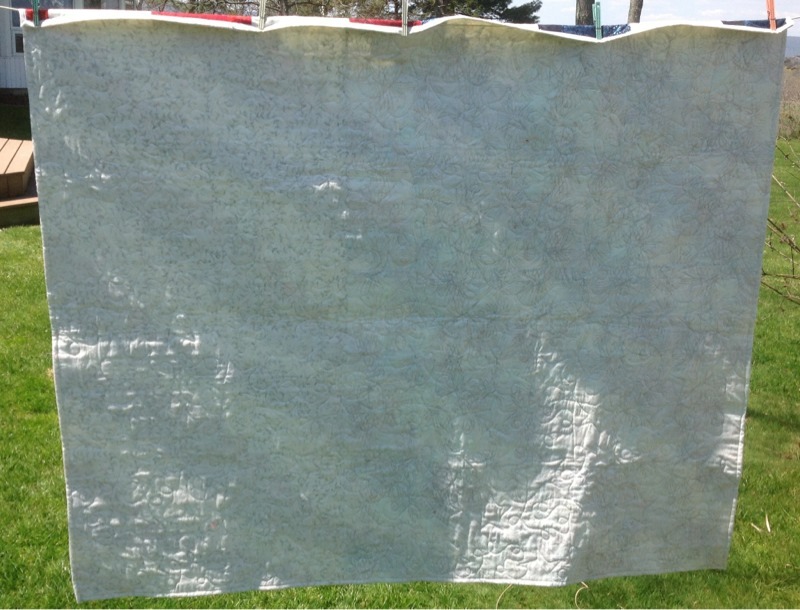 I would like to thank Bayberry quilts for suggesting a light khaki thread for quilting. 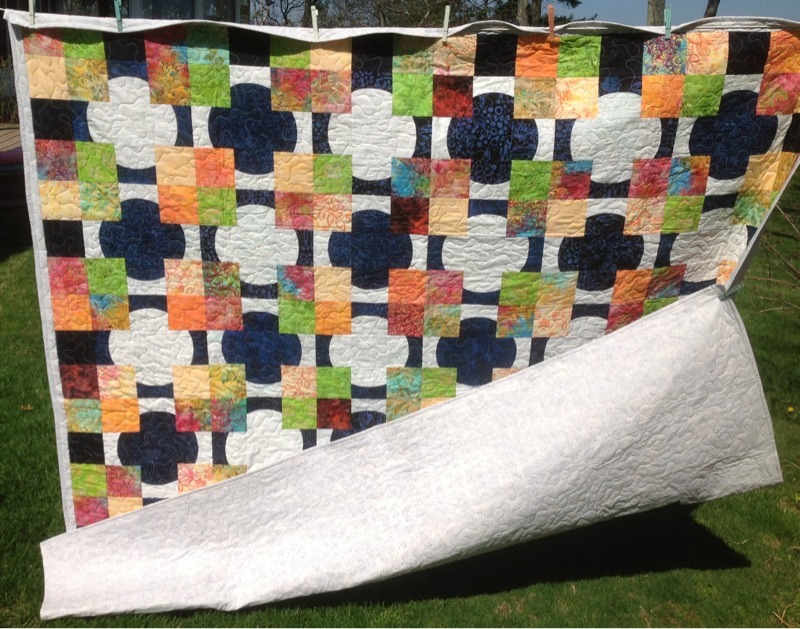 I would have went with a cream, which she explained it would cheapen the quilt. 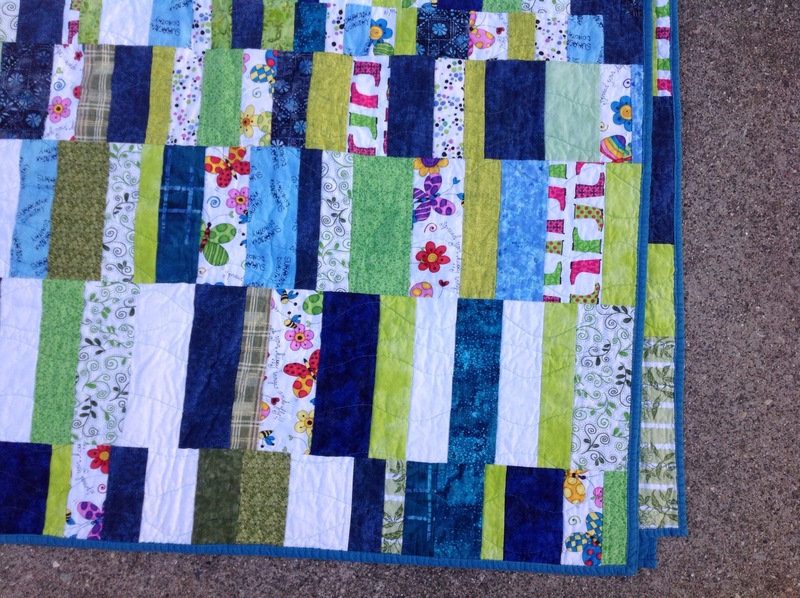 I am very happy with the quilting thread choice.